Obviously I have no interest in yachting. My fiancee picked the book. 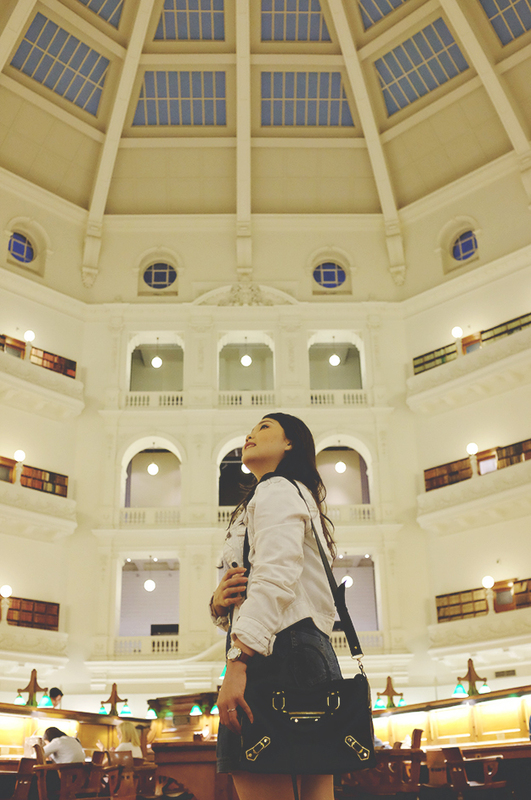 Another spot I want to highlight from my Melbourne trip is State Library of Victoria. 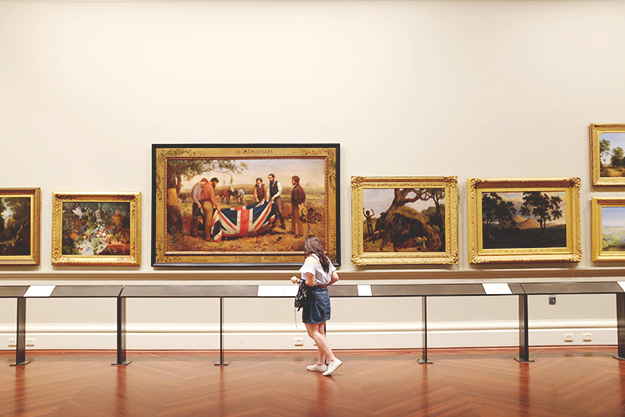 I saw this place in one of my friend's instagram post and not only this place is super photogenic, it serves well to my book worm side. The place is immense and just glorious! I could only wish to have such a beautiful and vast collection of books in my own country. 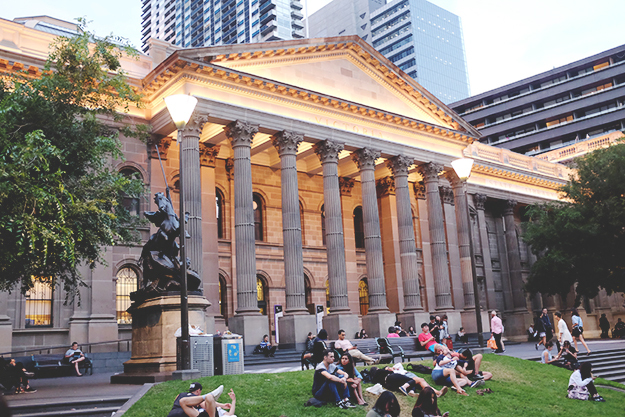 The library is open everyday from 10AM to 9PM. We went there on a Monday around 7PM. 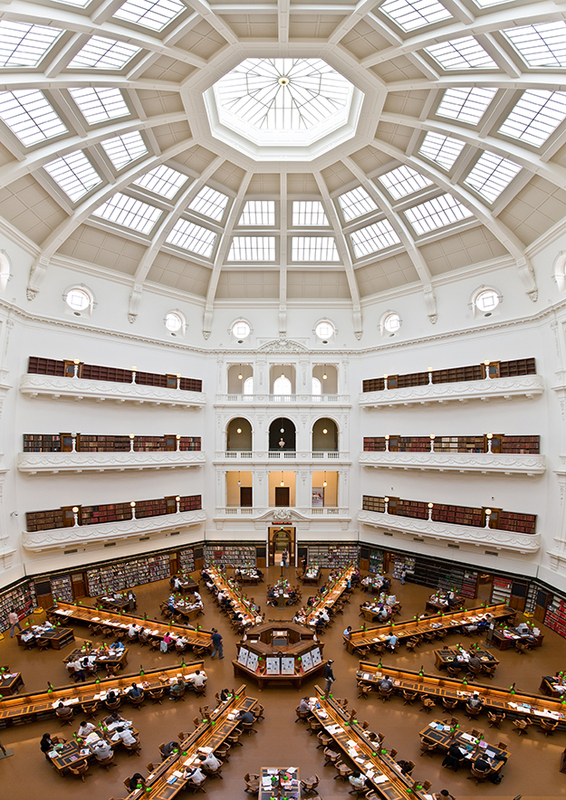 My goal is to visit the observatory upstairs to see La Trobe reading room from above. Unfortunately, the observatory is closed at 5PM. 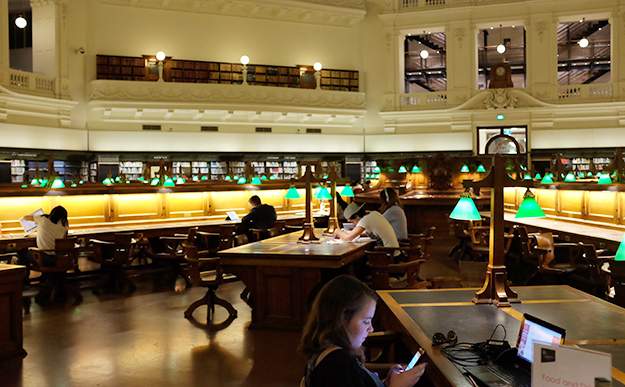 We did enjoyed looking at all the books and details in La Trobe reading room. 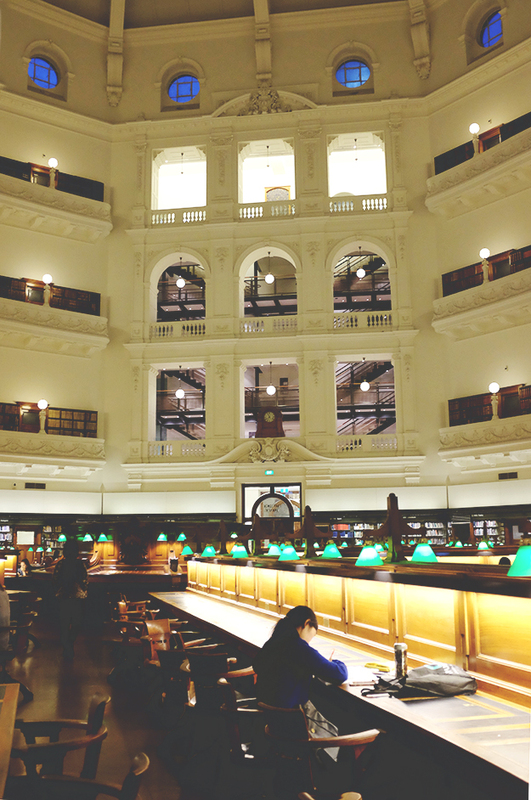 Pics from here and below were taken at La Trobe Reading room. There were quite a number of people reading deep in their book and I did felt a little bit intrusive taking photos here. There was no sign you can't take any photograph but they didn't allowed camera inside. Altho I did kept my camera and took this pics, as you can see. I wouldn't recommend it since I'm not sure what would happened if you get caught. They just might confiscate your memory card. La Trobe reading room from the observatory. Pic courtesy of Wikipedia. 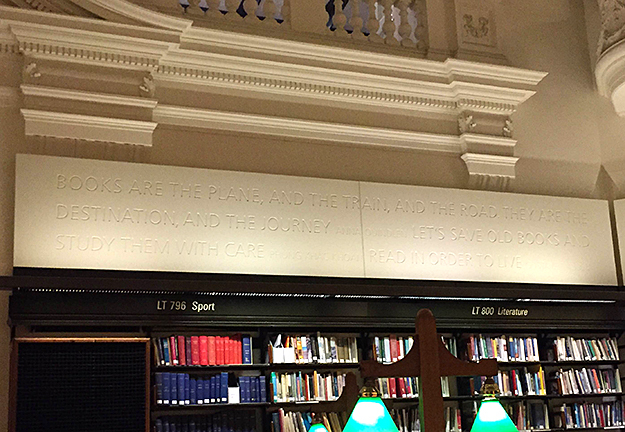 I do love the quotes above the book shelf. "Books are the plane, and the train, and the road. They are the destination, and the journey." As someone who cries when reading a sad book, giggle when reading a funny book, I couldn't agree more. Books transport you to another side of the world within their pages. I wouldn't be who I am today without my books.